We’ve compiled a guide with everything you need to know about ADHD. Including: the symptoms, the different types, who can get it, how they get it, how to minimise the effects, what parents can do for a child with ADHD, and some ‘best practice’ tips that we hope will make a tangible difference to your life. Is there an ADHD test for kids? ADHD Online Tests: Are they accurate? Learn how to manage ADHD with our complete guide below. Millions of individuals, all around the world, suffer from varying degrees of Attention Deficit Hyperactivity Disorder (ADHD). Scientists agree that ADHD is a medical neurobiological disorder. It is an illness or deficit of the nervous system. While the exact cause of the condition is not yet known, it is likely down to genetic or biological factors. ADHD is known for its prevalence as the most commonly diagnosed mental disorder of children. Children with ADHD may be hyperactive, easily distracted and unable to control their impulses. They may have trouble paying attention or sustaining focus. ADHD can affect teenagers and adults, too. The impact of undiagnosed ADHD can be severe for the individual, as well as damaging to society. Adults with ADHD may have trouble managing time, staying organized, setting goals, or holding down a job. They may also have problems with relationships, self-esteem, and addiction. Thankfully, there are several highly effective methods of achieving this. We will look at the best of them in this guide. First, let’s examine the various types of ADHD and their symptoms. This is the most common ADHD type for adults. It can lead to problems getting distracted, having poor concentration, lacking organisational skills and/or motivation. This type of ADHD can cause problems with general behaviour, including reactions to authority and a desire to resist moments of calm, quiet or concentration. It can cause particular problems in a classroom environment. The combined type is the most common form of ADHD in kids. This is where a number of symptoms are present from both types, wide across the classification spectrum of Inattention, Impulsivity and Hyperactivity. Scientists have studied the criteria for ADHD over many years, but as yet there is no consensus on the exact cause. Boys are two to three times more likely to suffer from ADHD than girls. However, boys are up to nine times more likely to be referred for evaluation. While it is possible that boys may be more prone to suffer from the symptoms of ADHD, the discrepancy in girls referred for treatment is a worrying sign that the condition is seen as something that ‘mostly affects males’. There is strong reason to believe that genetics plays a key part in who is affected by ADHD, but the exact link is as yet unknown. It is said that a child with ADHD is four times as likely to have had a relative who was also diagnosed with attention deficit disorder. Studies of twins and families ‘make it clear that genetic factors are the major causes of ADD/ADHD‘, according to Russell Barkley PH.D. He estimates that 75-80% of variation in the severity of ADD/ADHD traits is written in our genes. If you have a child with ADHD, it is worth asking whether you (or your partner) have suffered similar symptoms in the past. Many adult diagnoses of ADHD only come to light after a child receives a positive diagnosis and the parent reinterprets the symptoms in his/her own past. The first symptoms of ADHD are likely to emerge in early childhood. According to the Mayo clinic, children as young as two or three can exhibit signs of ADHD. 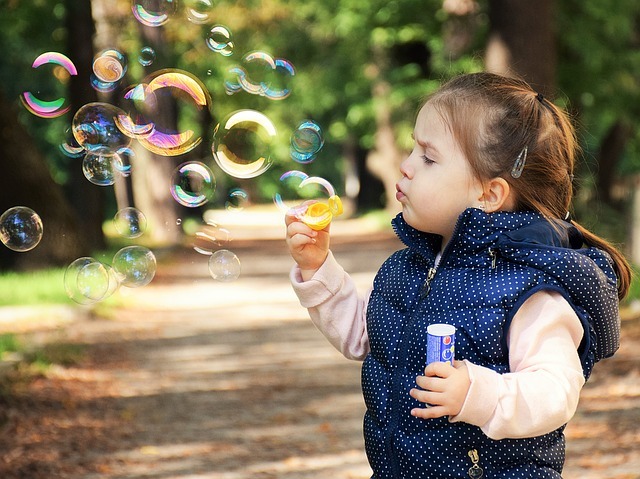 This can be a frustrating and stressful time for parents who are often unsure whether hyperactivity is a sign of toddlers being toddlers, or an underlying disorder. Indeed, the question “Does my child have ADHD?” has found its way to many coffee shops and parent gatherings. It is difficult to diagnose ADHD in a toddler, but the signs should become clearer with a few more years. Symptoms have to be present for six months before a diagnosis can be confirmed. Once a child enters the school system, any underlying ADHD issue will face a crucial examination. Although it is natural for kids to lose focus and attention, a child suffering from ADHD will find it even harder to stay focused and/or well-behaved in the classroom. This can cause obvious problems at school, where both traits are required for sustained periods. It is important to understand your child has educational rights, and may be eligible for special services under Part B of the Individual with Disabilities Education Act (IDEA). This applies when a child’s ADHD/ADD is determined to be a “chronic or acute health problem which adversely affects educational performance.” If this condition is true – as it will be for many children with ADHD/ADD – the child can be classified as “Other Health Impaired” (OHI). The school must then develop an Individual Education Plan (IEP) that is designed to meet the child’s educational needs. We strongly recommend that you pursue this path to give your child the best possible chance of academic success, and of putting his/her unique talents to full use. This article includes a variety of tips for managing ADHD in kids. In addition, we recommend you visit our ADHD Advice for Parents page. Also, don’t forget our blog is regularly updated with advice, success stories and actionable steps you can take. The teenage years pose a unique difficulty for those suffering from ADHD, as they do for every teenager walking the planet. The combination of puberty, mental and intellectual development, the transition of entering the adult world, and all the academic exams that this period entails can place enormous strain on a teenager. As growing teenagers, our lives take on increased structure, greater complexity and more responsibilities. This is a challenge for those suffering from the Inattentive Type of ADHD, who may struggle to cope with the new expectations, but it also affects those of the Hyperactivity and Impulsivity Type who may rebel or push away. The teenage years must be managed carefully. Strong parenting — Calmly and fairly setting the agenda. Remaining empathetic but pushing your teenager where possible. Encourage discipline — Aim to empower your teen with responsibilities, no matter how small. Build good habits and praise generously. Clear expectations — This applies to ADHD kids of all ages, but especially teenagers who will seize on any failure to lay out what you expect. Keeping your cool — There will be setbacks. Lots of them. ADHD teens can benefit greatly from strong time management on your part. This comes from designing routines that communicate clear structure (and expectations), as well as taking a proactive stance in asking your teen to express and think about his — likely ever growing — commitments of time and energy. Whilst the symptoms of ADHD can appear in early childhood, they can last long in to adulthood. From the three ADHD types — Inattentive, Hyperactive-Impulsive and Combined — adults are more likely to suffer from the inattentive traits. These symptoms can be mild or severe. Typically, adults with ADHD are unaware that they have this disorder – they often just feel that it’s impossible to get organized, to stick to a job, to keep an appointment. The everyday tasks of getting up, getting dressed and ready for the day’s work, getting to work on time, and being productive on the job can be major challenges for the ADHD adult. In a world dominated by social media distractions, phone alerts and Facebook notifications, those suffering from undiagnosed ADHD face a major battle before they even get to the workplace. Obtaining the correct diagnosis and then receiving the best treatment can have a profound effect on adults suffering from ADHD. Unfortunately there is no single test that can be used to diagnose ADHD in children or adults. The disorder is diagnosed after a person has shown some or all of the symptoms of ADHD on a regular basis for more than six months. Some of these requirements may seem arbitrary. However, in the absence of a precise diagnosis tool, the ADHD criteria above helps to rule out the many cases where individuals are suffering from a different disorder altogether — or stress, anxiety, upheaval in their personal or professional life, etc. ADHD, being one of the most common brain disorders, is often thrown around as a one-size-fits-all explanation for other conditions that are temporary with social or psychological roots. Is there a separate ADHD test for kids? The criteria for diagnosing ADHD in kids, teens and adults is exactly the same. There is no such thing as ‘Adult ADHD’. Do you really want to leave such an important diagnosis to the whims of a Buzzfeed ADHD quiz? We hope not! Yes, there are a number of ADHD tests you can take online that will do a passable job of screening your symptoms. Totally ADD: Do I Have ADHD? While we can’t stop anybody from using these sites, we strongly recommend that you consult a medical professional and seek a proper diagnosis. A proper ADHD diagnosis involves interviews and other assessments by trained professionals who will treat you as an individual, not as the token calculation of a quiz designed for Facebook sharing. ADHD can be managed increasingly effectively with the best medication. Choosing the right medication for ADHD is an intricate process that will require a good deal of communication with your doctor. It is important to find not only the best type of medication, but also the correct dose and schedule. These elements vary from person to person. Much of the treatment process will rely on the patient evaluating the effectiveness of a prescription (through questionnaires related to his/her symptoms) and the doctor making small adjustments where necessary. If the medicine is for your child, then improvements will have to be judged by observed behaviour. Stimulants can regulate impulsive behavior whilst improving both attention span and focus. A stimulant increases the levels of certain chemicals in the brain — particularly dopamine, which transmits signals between nerves. It is said that stimulants are effective in 70-80% of people. Stimulants, whilst proving to be effective for treating ADHD, sometimes come with unwanted side effects, such as insomnia, nervousness, jitters and decreased appetite. In these cases, a doctor may offer a nonstimulant treatment instead. The advantage of nonstimulants is that they are less disruptive than stimulants with less reported side effects. Common complaints of stimulants — e.g. insomnia, loss of appetite and agitation — are far less prevalent. Nonstimulants also benefit from their long-lasting nature and their smoother, gradual release. Whilst it may take several months of trial and error to find the best medicine for you (or your child), the good news is that ADHD can be managed very effectively once it is under control. In addition to traditional medicines, behavioral therapy is a popular treatment for ADHD. This is particularly the case for the estimated 20% of children who derive no observable benefit from ADHD medication. The goal of behavior therapy, therefore, is to increase the frequency of desirable behavior by increasing the child’s interest in pleasing parents and by providing positive consequences when the child behaves. Inappropriate behavior is reduced by consistently providing negative consequences when such behavior occurs. The above summary is by David Rabiner Ph.D, who has written a fantastic guide to behavioral treatment for ADD/ADHD. Children suffering from ADHD require good structure and well-formed routines. Behavioral therapy can be seen as a form of architecture in life design and decision making. The goal is to guide the flow of good behavior using natural incentives. By simplifying decisions (“this or that”) and encouraging the optimal behavior (positive reinforcement and negative consequences), we aim to make life predictable, thus reducing the attention required for common tasks. Note: One of the problems with this strategy is that ADHD can pass through the family. If an ADHD child’s parents are also suffering from the inattentive type, then it can be very difficult to introduce the rigorous structure that good behavioral therapy demands. Finally, it should come as no surprise that the Internet is swimming with alternative treatments for ADHD. These treatments range from dietary changes, to supplements, to herbs, to taking up yoga, with many many suggestions in between. We understand the desire to explore ADHD treatments that don’t involve medication, but the Internet is full of subjective and entirely unscientific ‘cures’ for ADHD. These should always be taken with a pinch of salt. What little research has been done in to alternative therapies has produced mixed results, and this is compounded by every individual’s unique requirements and needs. Mayo Clinic says studies have shown that certain food colorings and preservatives may increase hyperactive behavior in some children. However, the FDA says that studies to date have not proved there’s a link between food colorings and hyperactivity. This step is part of a wider movement where dietary advice is becoming more and more interlinked with treatment of ADHD. Any foods containing salicylates, e.g. berries, chili powder, apples, cider, grapes, oranges, peaches, plums, prunes, and tomatoes. Note: We suspect that taking chocolate away from a child (without good cause) might also exasperate the problem! While many parents speak highly of these supplements, the clinical results have been mixed. Consult your doctor before experimenting with magic formulas found on the Internet. A good support network is vital for tackling ADHD. Here are some communities that provide excellent support for those suffering from ADHD, as well as parents with ADHD children. CHADD — A national resource for tackling ADHD, including Ask An Expert sessions, forum discussion and regular training events for parents. ADHD Kids Care (Facebook Group) — A community on Facebook for parents seeking tips and advice from a crowd of over 40,000. ADHD Momma – Inspiring and uplifting stories from mothers of ADHD children. Lots of alternative therapies discussed and analysed. Reddit ADHD Category — A lively community, popular with young adults. Our conclusion to ADHD: It’s not all bad! Living with ADHD is not a curse. While scientists are still working to obtain a complete picture of what causes ADHD — and how best to treat it — millions of children (and adults) have seen improvement in their symptoms through the medications and therapies that we already know. If you feel that your child is suffering from ADHD, please seek out a doctor to obtain a proper diagnosis. It will require both patience and empathy to find a positive solution. Understanding ADHD goes a long way to defeating it. We hope the information above proves useful in some way.